We excitedly opened the door to the suite to see the beautiful setting California sun gleaming in through the sliding glass door to our balcony. My little cousins squeezed passed the adults standing at the door being weighed down by luggage and ran into the multiple rooms of the suite. It had always been the unusual tradition started by my traveling father to dive onto the hotel bed and exclaim, “Life is good!” (We still joke that the Life is good Corporation stole their idea from my father.) Right as we were all about to jump onto the multiple neatly-made beds, my mom yelled, “Move those mints off the bed first!” As I reached for them, I realized that these were not mints. I picked up a small note card with a picture of a train. Under it was written, “Silent Dreams,” and attached to the back were earplugs. And so began our never-ending battle with planes, trains, and automobiles. That night, at promptly 12:00 midnight, a freight train traveled by our window, no more than 10 feet from our balcony. The rattling freight traveling over each junction of the rails created such a noise that even the earplugs couldn’t block it out. After five minutes, the train had passed, the half-awake jokes and laughter sounding from the middle room had ceased, and soon enough the family had returned to their slumbers. “That wasn’t too bad,” I thought to myself as I shut my eyes. Clearly, I thought too soon. Just hours later, the thunderous and rattling sound of tons of freight gliding over metal returned. This schedule continued throughout the night. The next morning as we all sat in the living room portion of the suite and sipped our coffee, my mother joked that the 7:05am meant it was time to work out, my brother added that the 3:00am was just a teaser, you still had a few more hours of sleep. My father picked up the alarm clock and yelled, “No need for these! Just pick a time from the train and you’re guaranteed to be up!” At this point, we had no idea what we were in for. 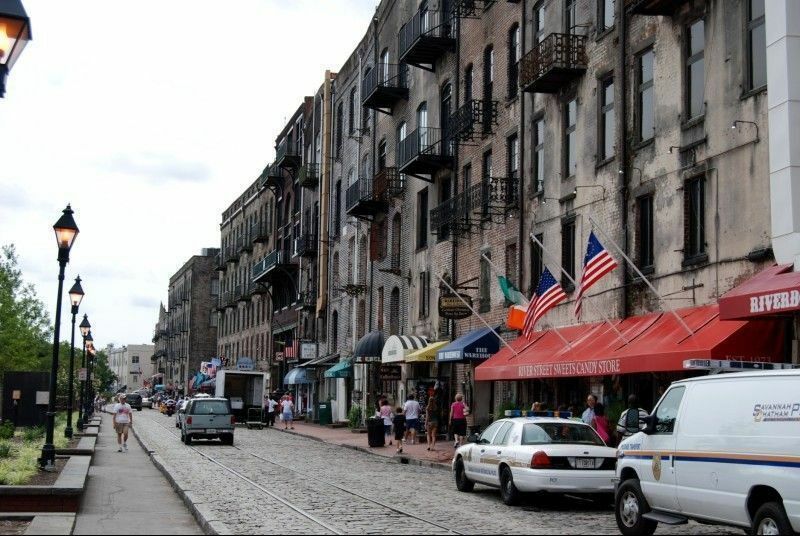 Our next stop in our travels was Savannah, Georgia. Our hotel was nestled on a private island, with a balcony overlooking the city, that is, when the million-ton cargo ship wasn’t blocking the skyline. We had picked the perfect floor of the hotel as to create the illusion that the cargo ship that passed twice a day would engulf the entire view of beautiful Savannah. As if these travels didn’t bring us enough laughter for a year, we were greeted one last time to the monstrous sound of planes only a mile away at our last hotel of our travels. These were the most frequent and loudest of all, but even the loudest planes couldn’t drown out the jokes and laughter coming from our hotel room. In these videos, my father acts as if he is a hotel employee welcoming his guest (my cousin) to these hotel rooms. Couldn’t you ask to be moved?